Following up on his notice of intent to veto HB 1739, this year’s social media privacy bill, Governor David Ige issued his veto of the measure on July 11, 2016. 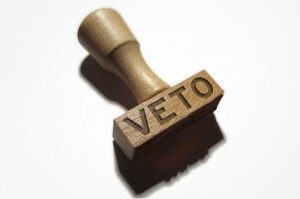 In his veto message, the Governor noted that the bill contained no enforcement authority or due process. In addition, the Governor also stated that the Department of Labor and Industrial Relations (“DLIR”) does not currently have the staff, resources, or expertise to administer the measure, including such actions as intake of complaints, determination of violations, education of rights, determination and collection of fees, and administrative review. Furthermore, the DLIR is also struggling with case backlogs in other areas. Finally, the Governor noted that the Legislature did not provide any funding for administration of this bill. Therefore, he vetoed the bill. You can review a copy of the governor’s veto message here: GM 1322.